Yet another view of the Stuart favourite! 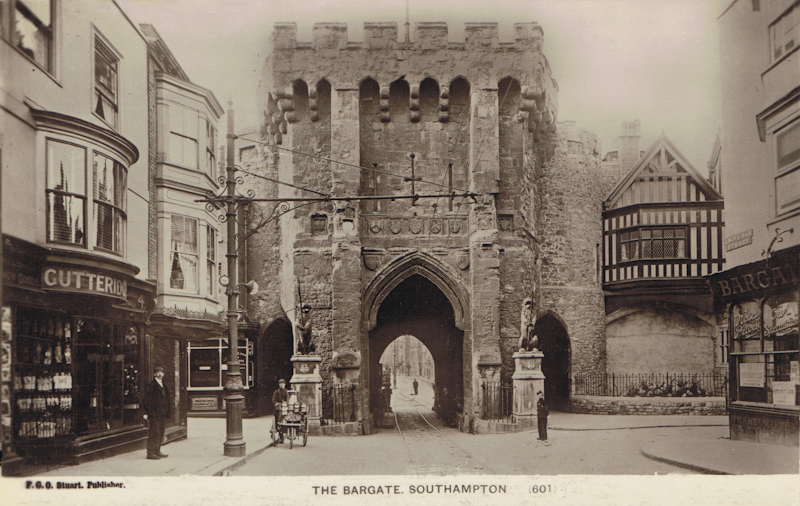 The Bargate now stands in splendid isolation of course. Note the boy with the milk cart, probably from Above Bar dairy, imagine that today!